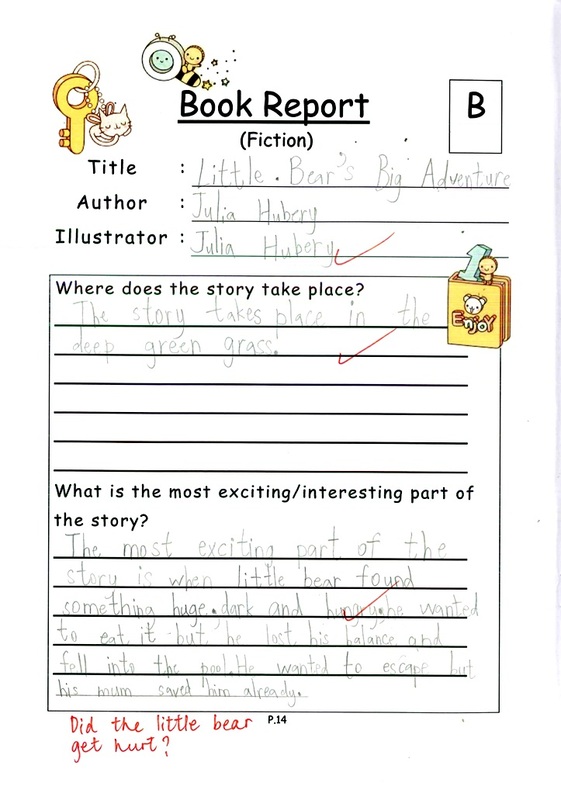 Reading Log, our school-based record of reading in a booklet form, was first trialed in the year 2010-2011 as an improvement to the loose sheets of book report we had been using. 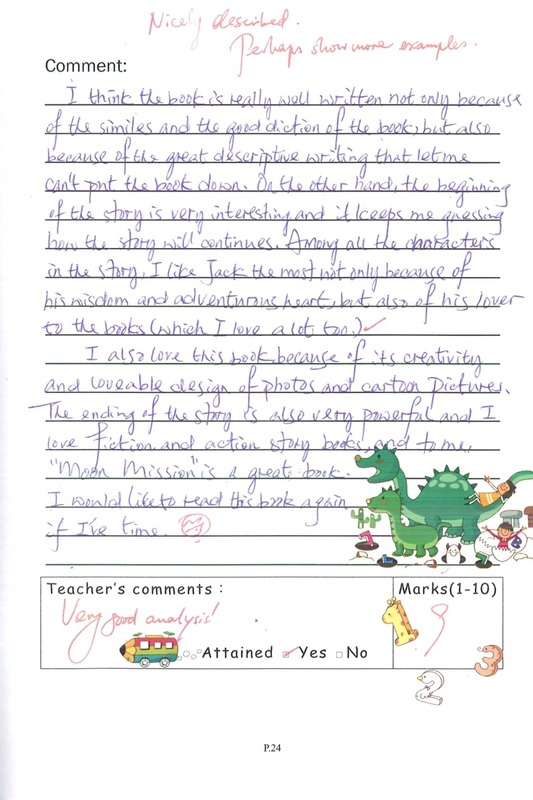 It has been in use since then. There are 3 different designs of the Reading Log, one for P.1-2, one for P.3-4, and one for P.5-6. 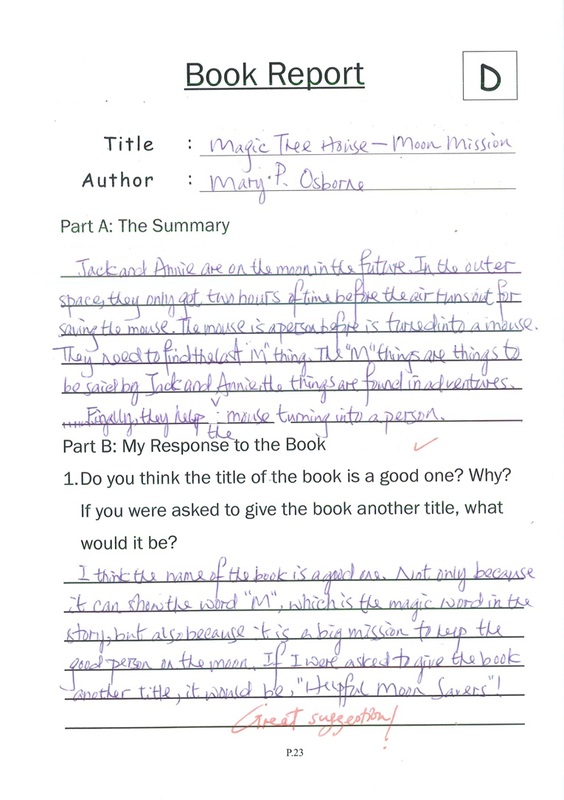 Students need to do at least one book report monthly. 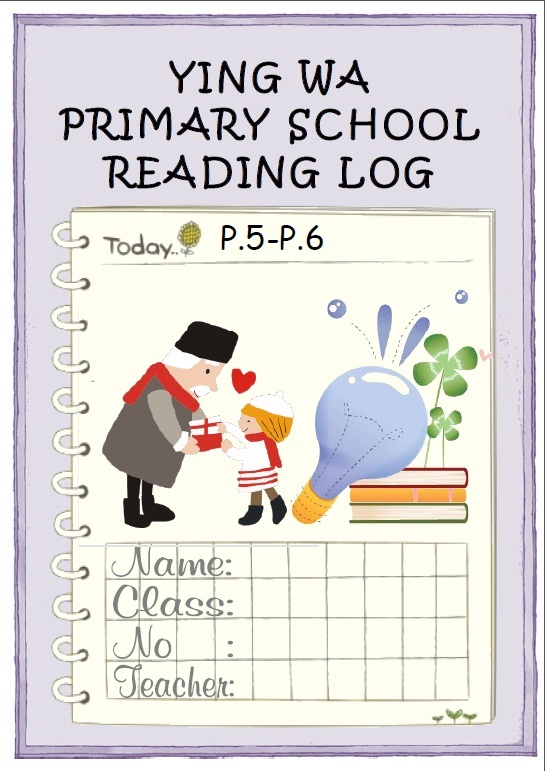 Reading Logs are linked to the Reading Championship in that students’ every effort in the entries will be counted towards the award. 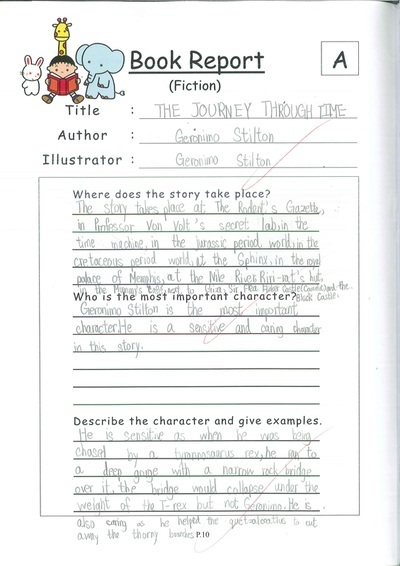 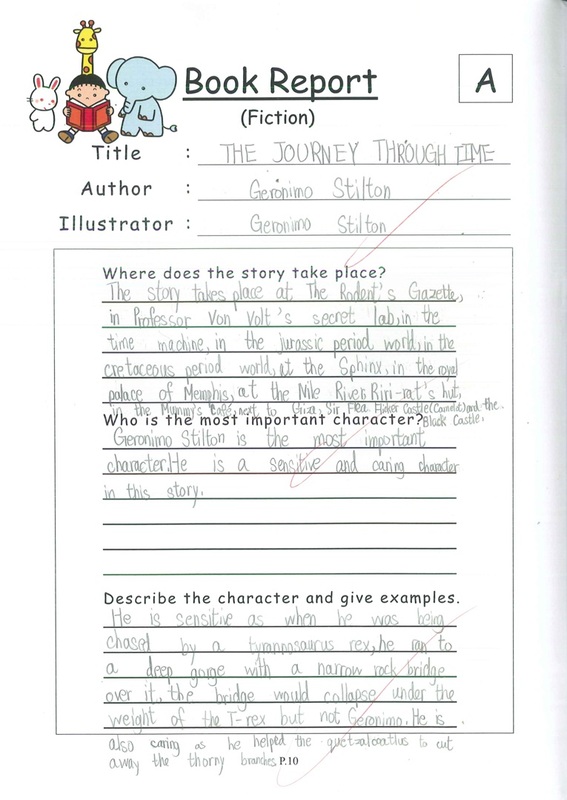 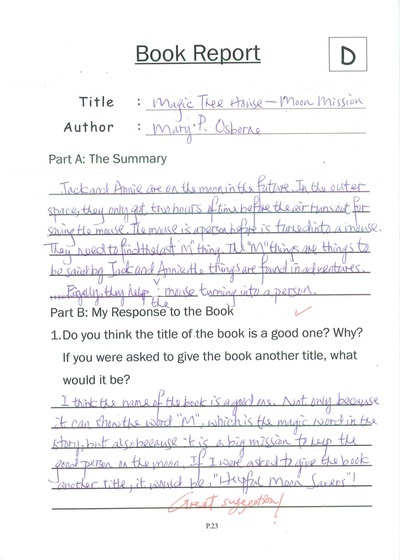 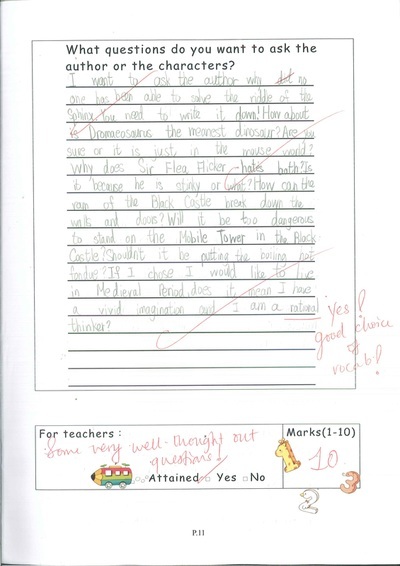 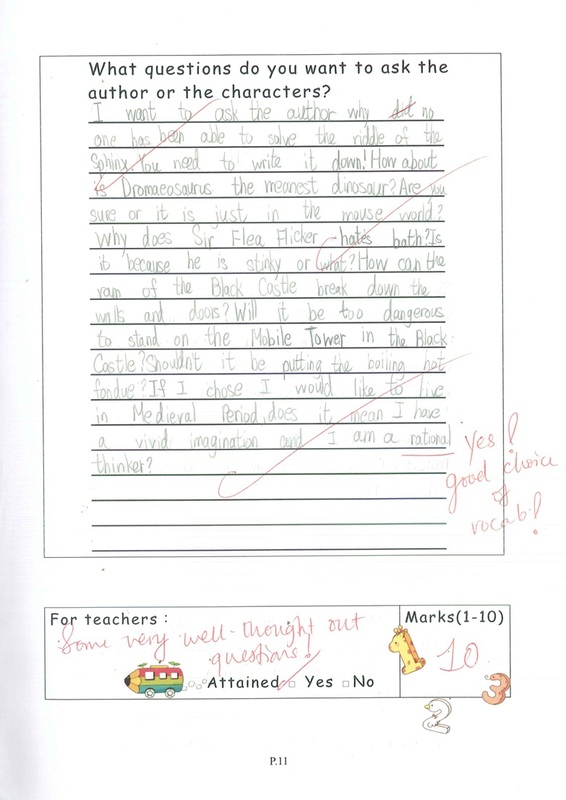 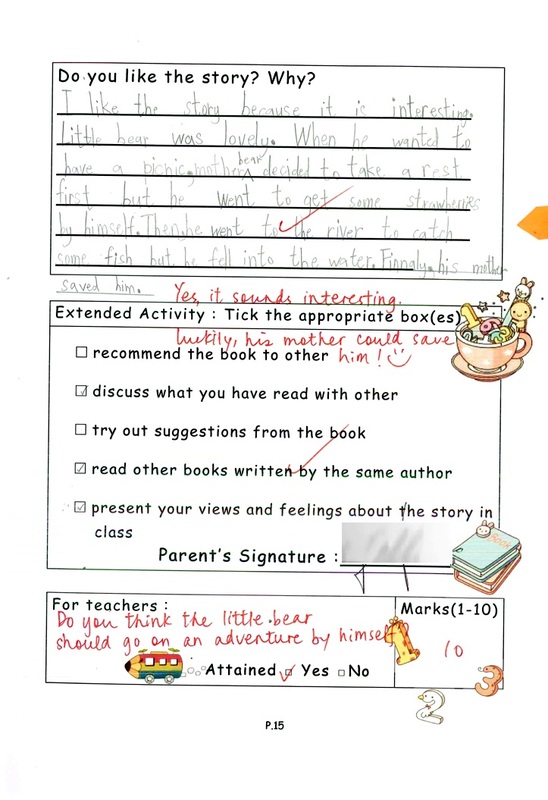 Teachers comment on each of the Reading Log entries on whether it has attained the standard or not, with a score out of 10. 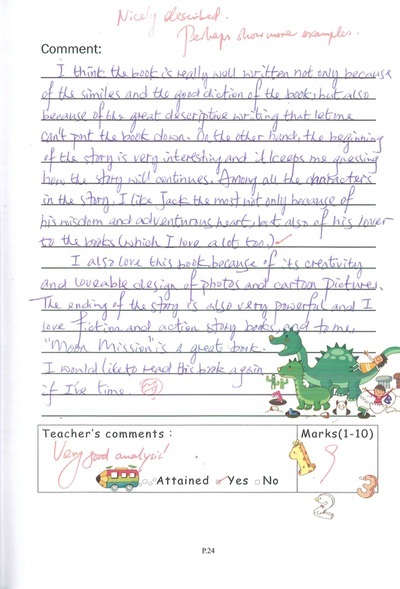 Teachers leave comment on the overall quality of the report. 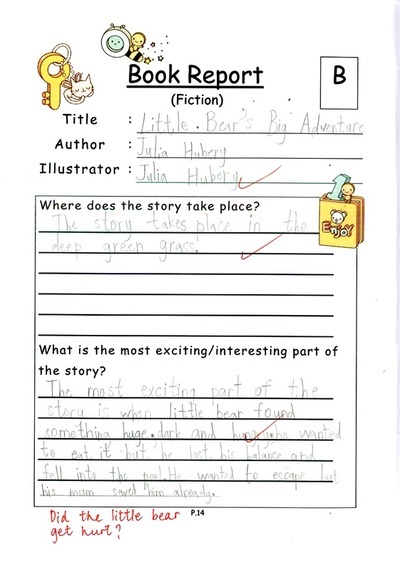 Teachers keep a record of students’ attainment of book reports.